Dokit creates unique designs for their clients and creates ergonomic and responsive interfaces. We have a strong expertise in MediaWiki wiki customization and in the integration of frameworks like Bootstrap. Thanks to using Visual Editor, it becomes very easy and natural to contribute to a wiki without any knowledge of Wikitext. 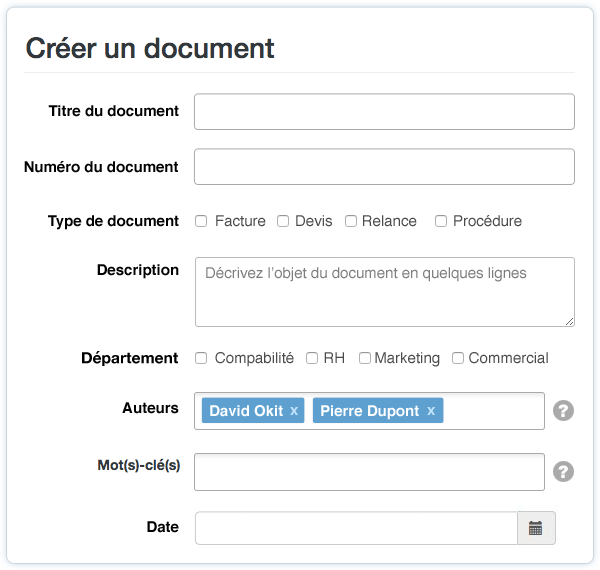 Dokit has developed an extension to combine the use of forms and document templates with the visual editor. We assist our customers with the installation of necessary extensions, the implementation of clear and intuitive page templates or bubbles aids guiding the wiki users. Take advantage of Semantic Mediawiki to structure the pages of your wiki and make content more accessible. Through the use of semantics, every piece of information in your wiki becomes available upon request, opening up a range of possibilities. 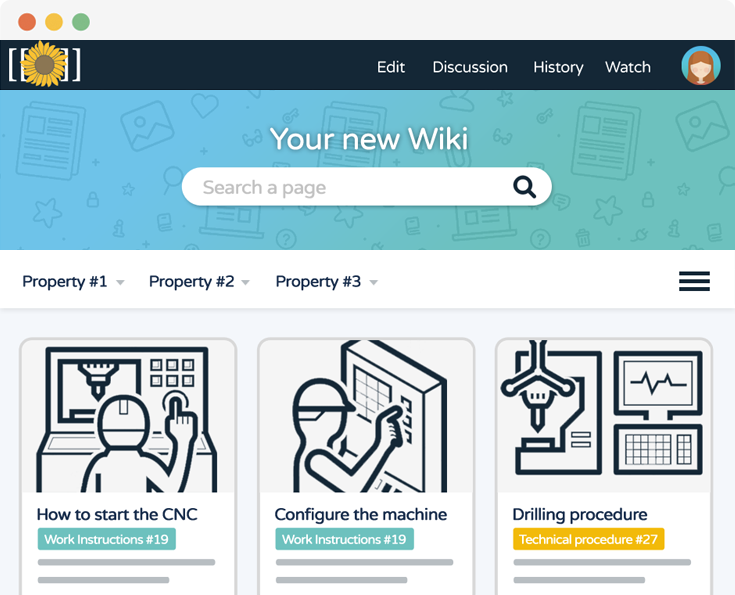 To facilitate browsing within a wiki, Dokit developed the Explore extension, which explores your wiki intuitively and visually. 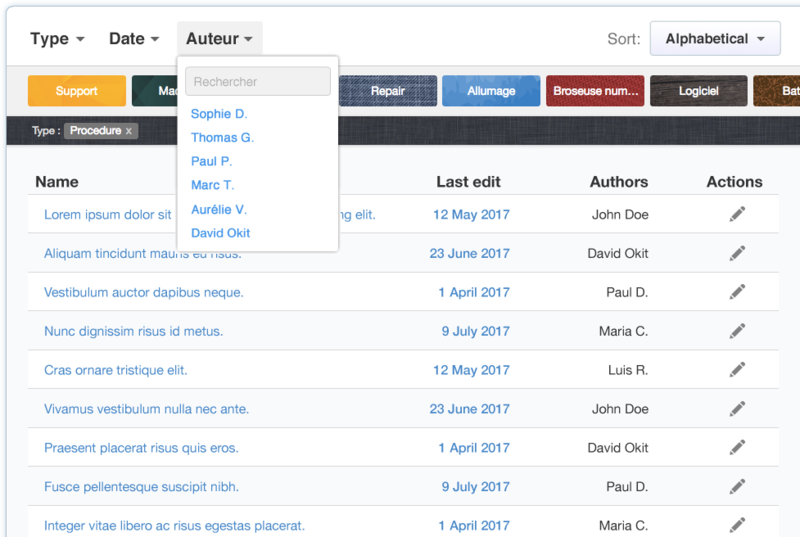 The Dokit team supports you through structuring your wiki, creating templates, and creating applications based on semantics. Dokit is the easiest way to create and share digital user guides, work instructions and best practices. © 2017 - 2019 Dokit - All rights reserved. Follow us and receive, from time to time, the latest news from our blog and interesting articles that we read.